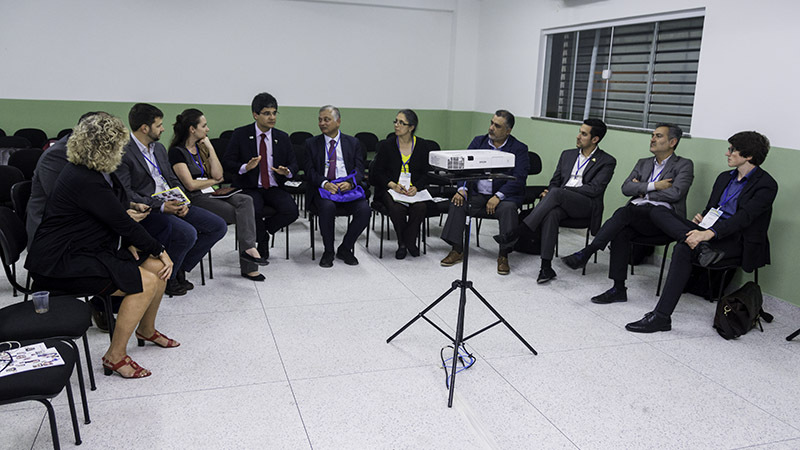 During its annual REDITEC meeting in Brazil, the National Council of the Federal Network of Vocational, Scientific, and Technological Education Institutions (Conif), jointly with UNESCO-UNEVOC, organized a UNEVOC Network cluster meeting for Latin America. Each year, the REDITEC meeting assembles the Rectors of Brazilian Federal Institutes and Centres of Vocational, Scientific, and Technological Education to evaluate and discuss practices in the Federal Network. The Federal Network works with an emphasis on professional and technological education as well as the development of applied research and innovation. 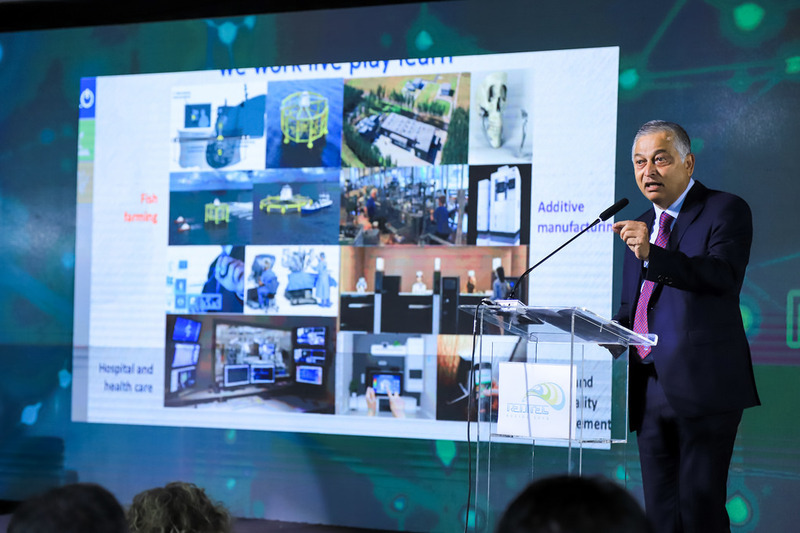 This year’s meeting in Buzios, Brazil, gathering around 1,000 TVET leaders from September 10th-14th, is markedly different due to its international character. A discussion forum has been organized among Brazilian TVET leaders and international experts focusing on the central theme of the event, "Globalization, Innovation, Vocational and Technological Education: Paths and Challenges for Inclusion". Mr. Shyamal Majumdar, Head of UNESCO-UNEVOC, and Ms. Denise Amyot, President of Colleges and Institutes Canada (CICan), a UNEVOC Centre in Canada, were both panel members at the opening session of the REDITEC event where they discussed the trends and challenges of TVET in the world. Mr. Majumdar addressed major dimensions for TVET transformation and emphasized, “Innovation is not confined to the global North, but also needs North-South and South-South cooperation.” After the opening address, Conif members expressed their eagerness to learn more about UNESCO-UNEVOC’s work in meetings with Mr. Majumdar throughout the week. The UNEVOC Network cluster meeting took place on the first two days of the REDITEC event, with participating UNEVOC partners from Chile, Colombia, Mexico, Brazil, Paraguay, and representatives from UNESCO-UNEVOC. 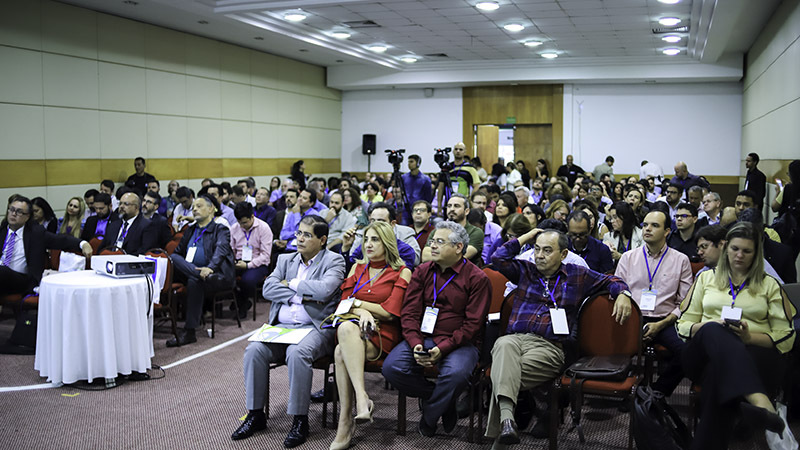 In recent years, UNESCO-UNEVOC and UNEVOC Centres in Latin America have focused on consolidating and strengthening collaborative efforts through workshops, conferences, and capacity development programmes. In 2016, a workshop in Paraguay, hosted by Fundación Paraguaya, convened 8 UNEVOC Centres from 7 countries in Latin America to share experiences and challenges to TVET in the region. In 2017, workshops on greening TVET in Mexico, hosted by CONALEP, and fostering entrepreneurship in Chile, hosted by Duoc UC, also demonstrated that UNEVOC Centres in the region are moving to action. Indeed, throughout the course of these regional programmes, particularly the recently concluded Regional TVET Leadership Programme, Latin American UNEVOC Centres have displayed their overall commitment to reinforcing Network cooperation. In keeping with this collaborative spirit, the cluster meeting facilitated partnerships in terms of capacity development, knowledge management, and information sharing. Participants identified a series of common activities for consolidating the network, namely greater contributions to Knowledge Management and the development of a cluster newsletter. Network members also recognized entrepreneurship as a thematic priority and an area for improved cooperation.